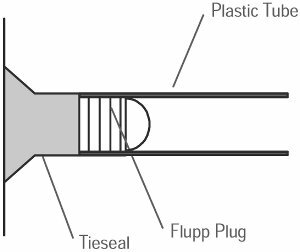 Tieseal is a polymer modified cementitous thixotropic compound designed to expand when curing to effectively seal tie holes against water ingress. 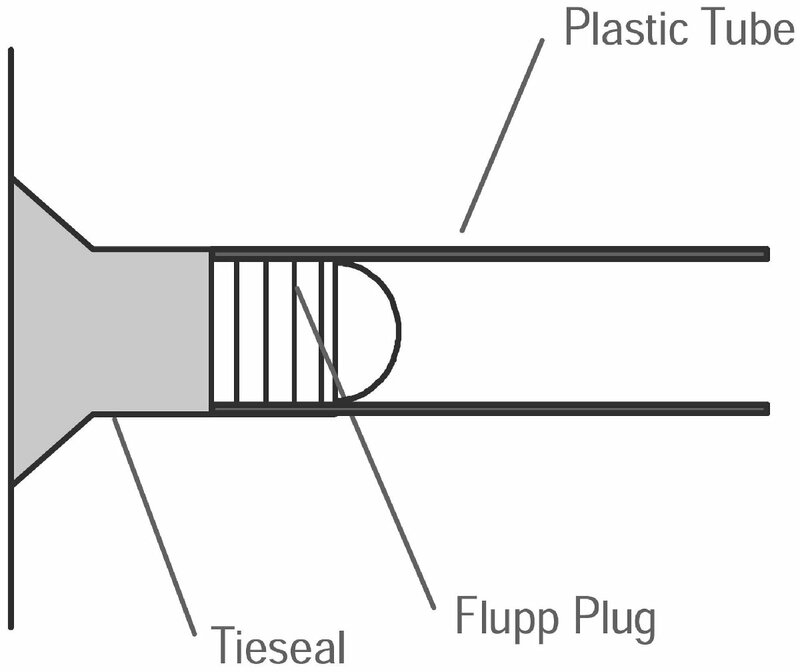 Used in conjunction with 'Flupp Plugs' as a backstop when inserted in the sacrificial Plastic Tube. The 1 litre pack will fill approximately 33 holes. * Please note, the 1lt Applicator Gun is sold separately from the kit. 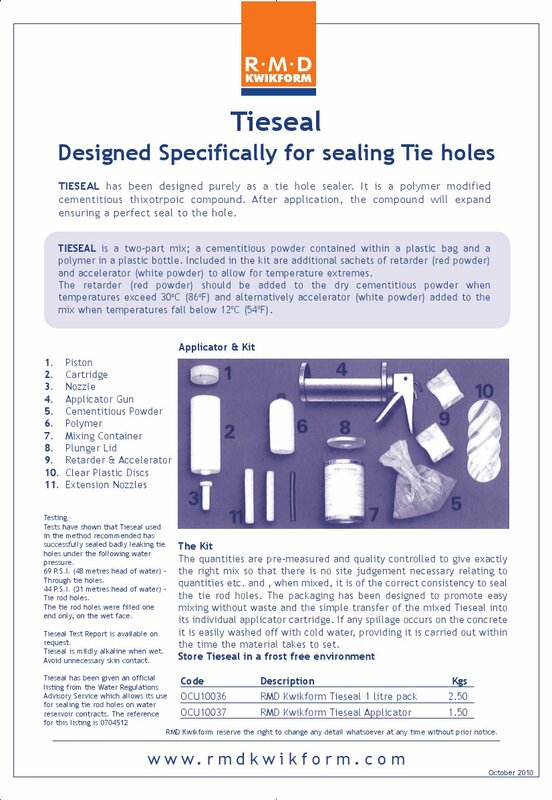 Please click here for the Tieseal datasheet page 1. 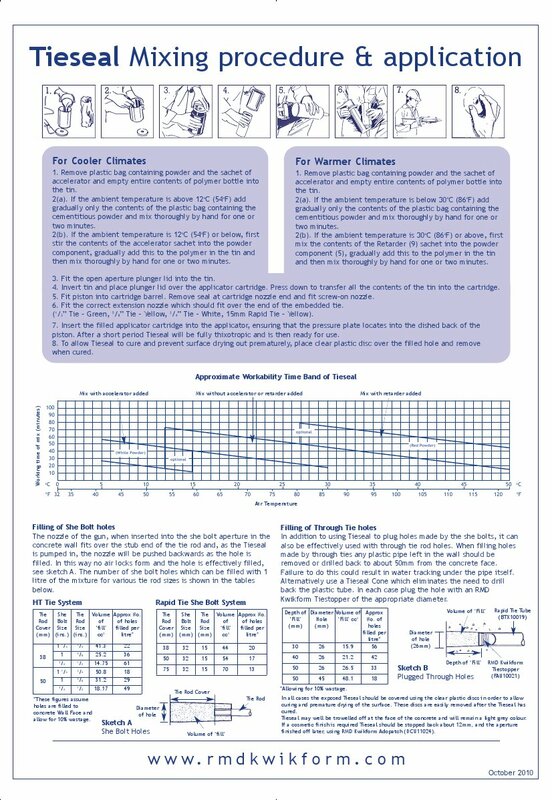 Please click here for the Tieseal datasheet page 2. We also stock a Trowelable Tie Hole Filler available in a 8kg plastic tub. More economical than Tieseal and easy to use by just adding water. Each tub will yeild approx 3 litres of filler, which will fill approximately 100 holes. Please click here for the Tie Hole Filler datasheet.